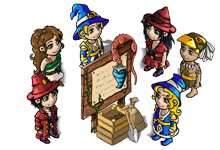 Become a Mage/Magess, Sorcerer/Sorceress, Druid/Druidess or Shaman. Enter a magical world full of fantastic plants and creatures, and take care of your own farmyard every day online. Learn powerful spells and ascend the hierarchy of magicians! As a farmer, master the art of cultivation with mystical plants. Deal in fine plants and earn sensational profits trading with other players. 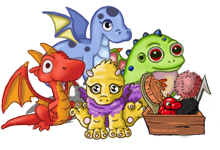 Choose a dragon and foster and care for your baby dragon until it grows up into a mighty dragon. Take part in exciting dragon races with your dragon or organise them yourself. Develop the best racing strategies and win great prizes in Miramagia! 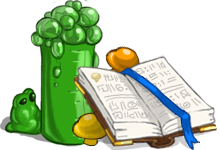 Upgrade your Magic Laboratory and fill it with the most powerful of magical artefacts! 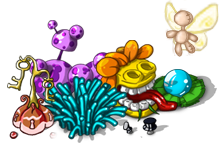 Collect as many mushrooms as possible and create your own spells in your farmyard. Carry out challenging alchemy experiments and solve the golden quest of the day. Become part of a village with like-minded players. Work, chat, play and have fun together for free! Funny spells offer you many possibilities in decorating, giving gifts and playing pranks on your neighbours. 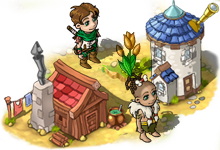 Win competitions, decorate your village and become the prettiest and most successful place in Miramagia!